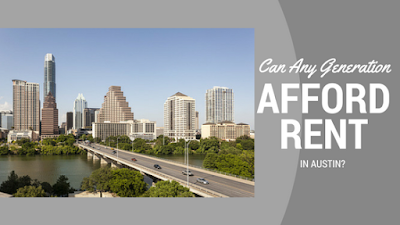 Can Any Generation Afford Rent in Austin? Rent is on the rise, not just in Austin, but in the US as a whole. Culturemap Austin reports on what each generation is paying in rent and whether they are able to afford the rent increases. The US Census Bureau found that 35% of households nationally are renters and 47% of those households spend more than 30% of their income on rent, which means they are cost-burdened. A recent study looked at how that cost burden breaks down across three generations: millennials, Generation X and Baby Boomers. Roughly two-thirds of millennials are renters and their median rent is $980. Millennial's median income is $39,900 and this contributes to the fact that 46.5 percent of millennials are paying more 30% of their income on rent. More Baby Boomers are facing burdens from renting than millennials. 23.3 percent of Baby Boomers are renters and 49.1 percent are paying more than 30% of their income in rent. Boomer's median income is the lowest of the three generations at $33,000, and their rent is also the lowest at $890 per month. 38% of Generation X’ers rent and 44 percent of them spend more than 30% of their income on their rent. Generation X’s median income is $44,470 and their median rent is $1,050. Austinites that are part of Generation X are doing even better. Just 38.3 percent of them pay more than 30% of their income in rent. 45.1% of Austin Millennials spend more than 30% of their income for their rent, and 51% of renting Boomers in Austin spend more than they should on rent. Looking to rent an apartment in Austin? No matter what generation you belong to, Austin Apartment Specialists can help you find an apartment that fits your budget and lifestyle. Give us a call today at 512-241-1111! The new Multi-family Trend Report for Austin reveals that developers may be feeling uncertain about building new communities, the Austin Business Journal reports. Developers are wary of two things: the rewrite of Austin land development code called CodeNEXT and the fact that some Austin City Council members are looking at expanding the Capitol View Corridors, especially in east Austin. East Austin has just recently become a hotbed of development. The largest apartment project under construction in the city currently, being built around the Plaza Saltillo MetroRail station, is in East Austin. An expansion of the Capitol View Corridor would prevent high rises from being built, decreasing the size of projects, increasing the cost, and possibly making them way less feasible. In addition, financing for projects is scarce across the country. Building costs are also increasing nationally, which is even worse in Austin because costs here for new construction is much higher than other places. Those higher costs are due to higher land prices, delays in approvals by the city for new projects, and “onerous” regulatory rules in the Austin city limits. There was an increase in permit applications recently, perhaps due to developers wanting to get their projects approved before any more regulations are passed. There are 69 projects with 16,351 units total that are in the permitting stage. There are 19,000 units in the Austin area under construction and 6,500 are set to be finished by the end of 2017. After years of older apartments, (called Class C properties), being more popular due to renters preferring cheaper rent to amenities, they have been seeing their occupancy rates fall. The most apartments are being built in Cedar Park and Leander, followed by the Highland Mall redevelopment. Surprisingly, Bastrop has the highest occupancy rate, despite having lower rents than anywhere else in the area. Downtown Austin has the highest rents. Looking for an apartment anywhere in the Austin area? We can help you find the perfect place no matter what the market does. Give Austin Apartment Specialists South Austin a call today at 512-912-8000. 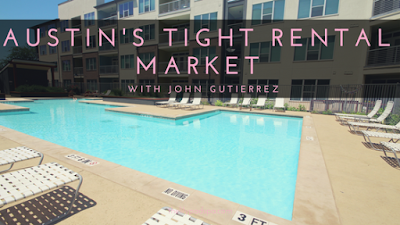 One of our agents, John Gutierrez, was recently interviewed by KEYE’s Fred Cantu about the tight Austin apartment market after an apartment fire in the East Riverside area. The apartment fire took place at University Estates on July 26th and damaged three units, leaving 12 people without a place to live. Thankfully no one was injured, but it leaves this apartment complex with three less apartments to rent just as the rental market heats up with college students returning for the fall semester. John spoke to the fact that even though apartment construction is booming in Austin, there is still not enough supply to keep up with demand. This problem is particularly pronounced for renters caught with a short time table to find a new place. These renters may have difficulty finding an apartment that fits their needs. They are often only able to pick from the apartments others have already looked at and chosen not to rent. While there are apartments in every neighborhood, the available ones for those with tight time constraints may may not fit apartment hunters’ budgets. 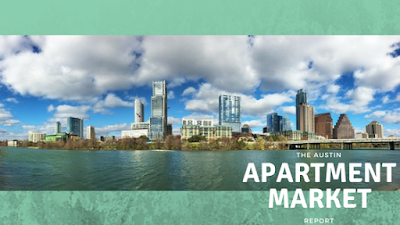 Frightened of the Austin apartment market? Don’t be! 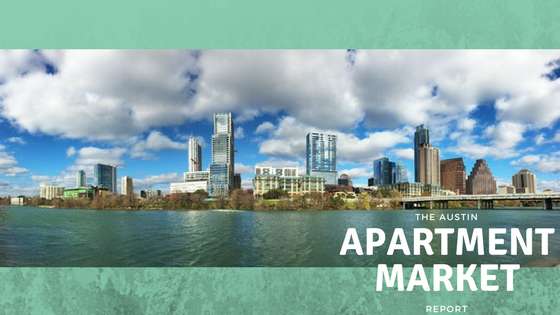 With one of Austin Apartment Specialists’ expert apartment locators on your side, we will find you a new home that fits all your criteria. Give us a call today at 512-241-1111.